Woot! It’s Wednesday! Time for some StuART! 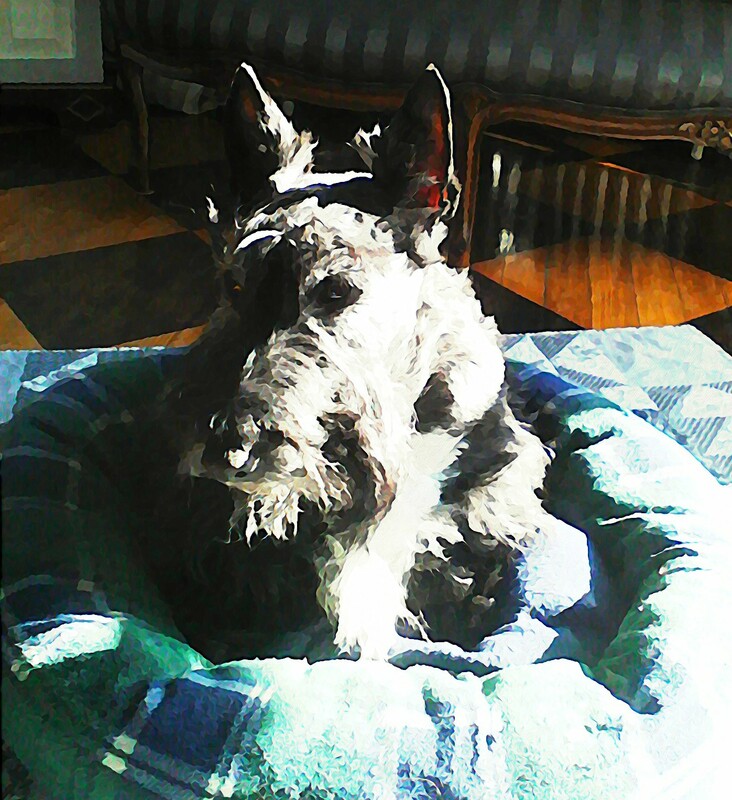 This entry was posted in Scottish Terriers, Terriers, The Scottie Chronicles and tagged art, dogs, photography, Scotties, watercolors. Bookmark the permalink. Pawfect enjoyment of a sunpuddle! I do love it so. Don’t you? Sunshine – yes! That’s what we need (and 80 degree temps). that you must be enjoying! Sigh. ARrrOOO! Uh….here’s barking at you in your language my friend.